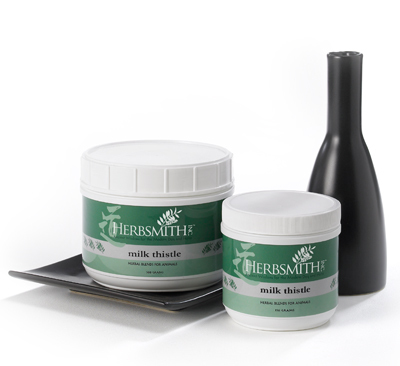 Herbsmith Milk Thistle supports healthy liver function. It’s great for a dog with allergies, digestive issues, or to combat the negative side effects of the harsher alternatives. The most active ingredient in milk thistle is silymarin, which has great antioxidant properties.